… I grew up in an England that was built on tea. From the Victorian era of the delicate Earl Grey served in china tea cups to the now-classic Builders Tea, dark, sweet and milky… served in a mug. Back then, coffee wasn’t even a blink in the eye of the proto-hipster parents. Sure, we had some nasty instant coffee granules but tea was still an art form… and I miss it. In fact it always surprises me that one of our many British tea brands hasn’t started a modern teashop to rival the starbucks of this world, where tea is centre stage and not relegated to the ‘fruit tea’ selection in a coffee shop where the barista curls his bearded lip when you dare to ask for hot water. As a Yorkshire lass, my mum wouldn’t dare start her day without a cup of tea and i’m very much cut from the same cloth… particularly at the weekend when The Viking still can’t function without his coffee-induced caffeine buzz, I will take the time to brew a proper cuppa and relish in the extraordinary taste of it all. I’m a classic ‘breakfast tea’ drinker on a daily basis but I will defer to an Earl Grey in the afternoon and a Jasmine Green Tea with a curry or an Asian-influenced meal. 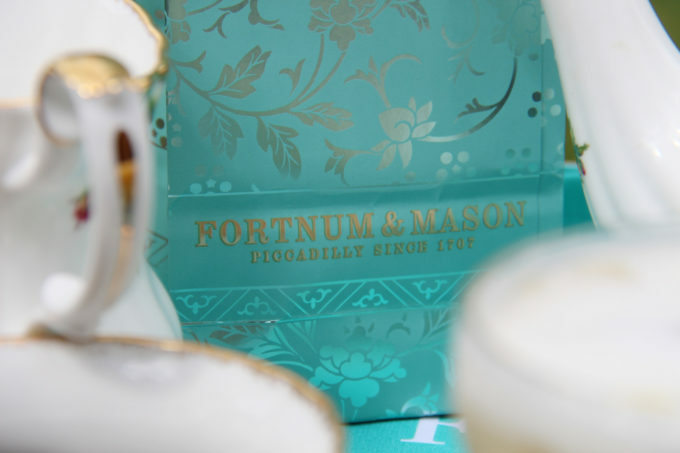 As many regular readers will know, Fortnum & Mason is my all time favourite store. There’s a magic to it that when younger through the doors it’s like transporting yourself back in time to a Victorian world filled with discovery and delight. Not to say that their store isn’t also completely contemporary, because when it comes to the best of the best, it is bang on trend but the building retains the enchantment of a bygone era. It is particularly pertinent at Christmas but to be fair the store is stunning all year round and their teas in particular are world class which is why I was more than happy to take part in their ‘teatail’ campaign. They sent me some of their delightful Jasmine Pearl Tea and invited me to create a cocktail inspired by the taste. 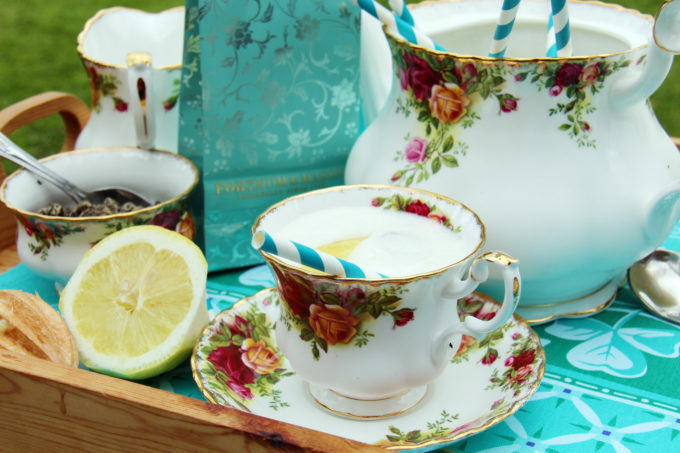 I adore Jasmine tea, it has the heady aroma of a summer’s sure i’ll never truly visit but it’s what I imagine the summer lawns of a Victorian manor house were like when high-tea was announced. I find it both a delight and a pain when brands send me cocktail ingredients. Don’t get me wrong, I LOVE a cocktail, it’s just i’m one of those really lazy people who like to have a cocktail made for me, preferably by and handsome barman whilst I lay in a hammock around a pool somewhere tropical. I actually quite like making cocktails but they can be a bit of a faff and I don’t know if it’s just me but I always make an un-holy mess too. It’s all very well when you’re in a bar and you can throw the equipment into a sink and someone else washes up but at home you have to be quite dedicated to the art to want to be bartender for the night… and that’s what I love about this cocktail, it can be served in individual glasses but can also be more of a punch cocktail and served in a large bowl or teapot as i’ve done here. As well as championing the Fortnum & Mason Cocktail i’m also here to shout about a bit of a local phenomena, the Lincolnshire Gin. The good people at Pin Gin have created a very decent gin indeed and are proudly shouting about their local heritage… which of course makes me very happy. 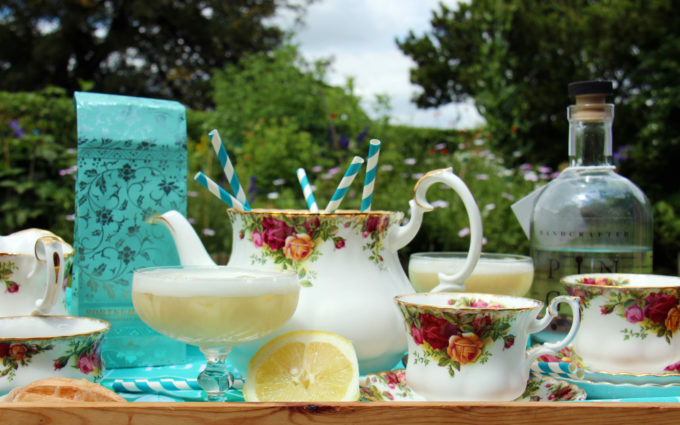 To make your Jasmine Gin, soak a tablespoon of Jasmine Pearl Tea in 200ml of gin for at least 12 hours, then strain and set aside. 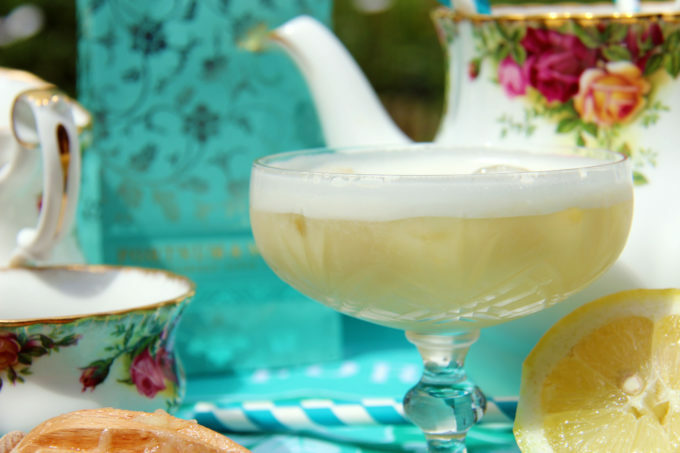 In a cocktail shaker, combine the 2 ounces of Jasmine Gin with the lemon juice, honey syrup and egg white and shake well. Add ice and shake again. Pour through a fine strainer into a chilled glass or china cup, stir in the soda and garnish with jasmine flowers or lemon wedges. 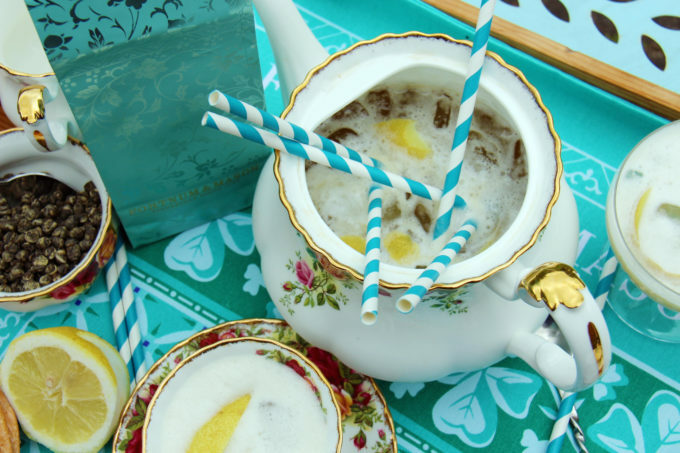 F&M have many tea-based cocktails on their blog, so do check it out for inspiration! drink and of course, enjoy! Looks something unique for Tea. Will try at home. Thanks for sharing. LOVE LOVE LOVE this recipe Dom, and like you, I’m also a HUGE fan of F and M, such a fascinating store with an amazing and eclectic range of produce. oooh, yes, we have the same tea service. It’s so lovely. My came from my Auntie Sonia and I love it.